Dr Chris Shaw, from the University of British Colombia’s (UBC) Department of Ophthalmology, Visual Sciences, Experimental Medicine and Neuroscience published a paper in the Journal Inorganic Biochemistry along with his colleague, Dr. Lucija Tomljenovic that revealed Government experts have known about the dangers associated with vaccinations. They investigated information exposing a 30 year scandal of official meetings by UK government vaccine committees and independent medical ‘experts’ with drug industry connections. The paper is at the bottom of the article under “sources”. A Freedom of Information Act request filed with the CDC seeking information on what the CDC knows about the dangers of vaccines, had by law to be responded to in 20 days. Nearly 7 years later a judge ordered the CDC to turn over the documents on September 30th, 2011. These documents were part of the study discussed in this article. The paper has received a lot of attention. UBC even held a symposium about vaccination safety as a result in an effort to arouse more critical thinking and discussion around the topic. The response was disturbing with a number of UBC professors upset that the discussion was taking place in the first place. It’s disturbing to know that there are those out there who wish to silence an opposition to vaccination, and not even keep an open mind to potential dangers. Much of the medical literature examined by researchers comes straight from pharmaceutical company-sponsored medical research. It’s time for us to wake up and make some obvious connections. Here is a quote from the published, peer reviewed paper. Deliberately concealing information from parents for the sole purpose of getting them to comply with an “official” vaccination schedule could be considered as a form of ethical violation or misconduct. Official documents obtained from the UK Department of Health (DH) and the Joint Committee on Vaccination and Immunisation (JCVI) reveal that the British health authorities have been engaging in such practice for the last 30 years, apparently for the sole purpose of protecting the national vaccination program(1). Here I present the documentation which appears to show that the JCVI made continuous efforts to withhold critical data on severe adverse reactions and contraindications to vaccinations to both parents and health practitioners in order to reach overall vaccination rates which they deemed were necessary for “herd immunity”, a concept which with regards to vaccination, and contrary to prevalent beliefs, does not rest on solid scientific evidence as will be explained. As a result of such vaccination policy promoted by the JCVI and the DH, many children have been vaccinated without their parents being disclosed the critical information about demonstrated risks of serious adverse reactions, one that the JCVI appeared to have been fully aware of. It would also appear that, by withholding this information, the JCVI/DH neglected the right of individuals to make an informed consent concerning vaccination. By doing so, the JCVI/DH may have violated not only International Guidelines for Medical Ethics. – Dr Lucija Tomljenovic. She also mentions evidence of ties between vaccine manufacturers and pharmaceutical companies. The transcripts of the JCVI meetings also show that some of the Committee members had extensive ties to pharmaceutical companies and that the JCVI frequently co-operated with vaccine manufacturers on strategies aimed at boosting vaccine uptake. Some of the meetings at which such controversial items were discussed were not intended to be publicly available, as the transcripts were only released later, through the Freedom of Information Act (FOI). These particular meetings are denoted in the transcripts as “commercial in confidence”, and reveal a clear and disturbing lack of transparency, as some of the information was removed from the text (i.e., the names of the participants) prior to transcript release under the FOI section at the JCVI website – Dr Lucija Tomljenovic. The documents go on to show that when strong evidence was presented against vaccination, they were completely ignored and overlooked by the Joint Committee on Vaccinations and Immunizations. Furthermore, the committee has constantly dismissed independent research and downplayed vaccine concerns while over inflating the benefits. They’ve also promoted and elaborated a plan for introducing new vaccines of questionable efficacy and safety into the routine pediatric schedule, on the assumption that the licenses would eventually be granted. All of these violate the JCVI’s own code of conduct. 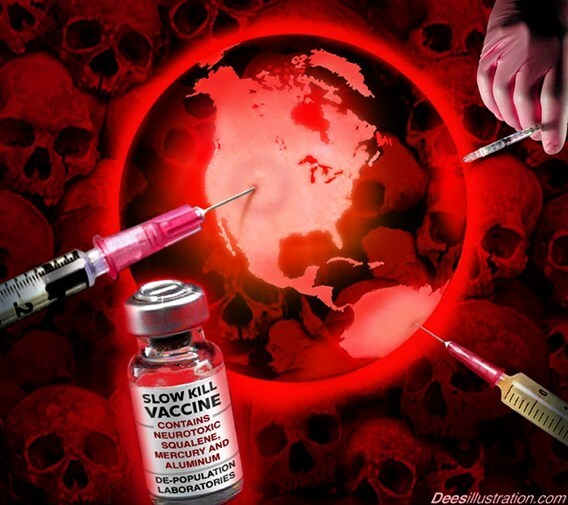 Alternative media outlets continue to raise awareness about vaccinations and their potential dangers. With the world handing over credibility to a certain criteria, we thank all of the researchers out there who continue to examine all information, and a wide variety of sources. With the work of these researchers and doctors, the truth about vaccinations continues to spread across the planet. For more articles about vaccinations, you can browse through our health, science/tech, and alternative news sections. Thank you for reading and spread the word!